Can motorcycles save lives? This modest little Yamaha has. Several years ago, at the local Moto GP race, museum founder Robb Talbott met representatives from Riders for Health, an organization that uses motorcycles to provide medical supplies and transfer test samples to and from remote African villages. He ended up buying two bikes for the organization, and in return, obtained this very well used one to display and promote the cause. “They’re the only ones I know of that use motorcycles to save lives,” says Robb. 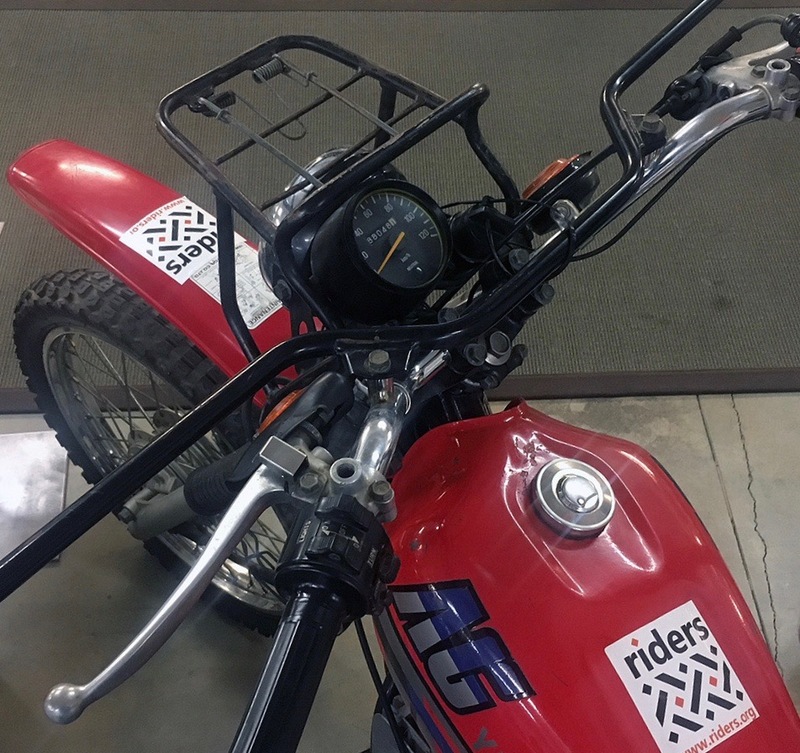 “They teach riders that deliver medical supplies. These bikes are tough—with metal guards, a fully covered chain, and a big top box. 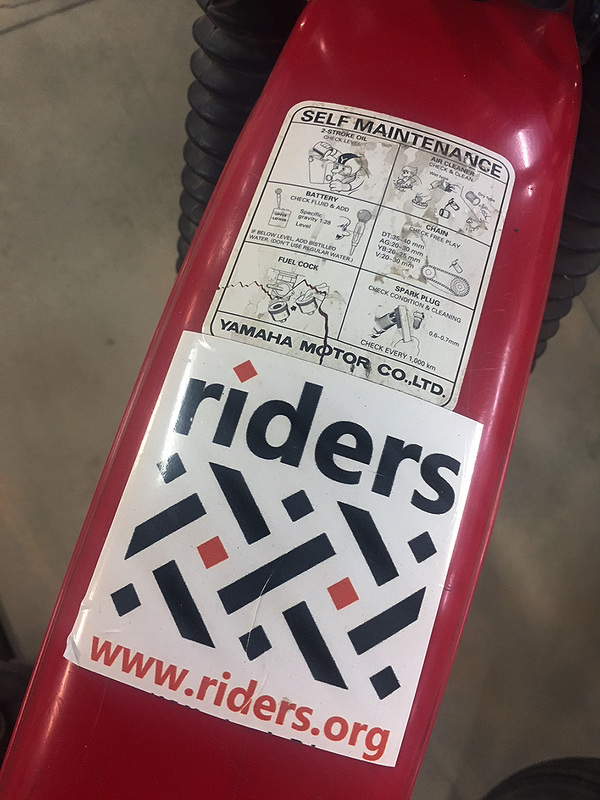 They teach riders to do their own maintenance to help the bikes last longer. 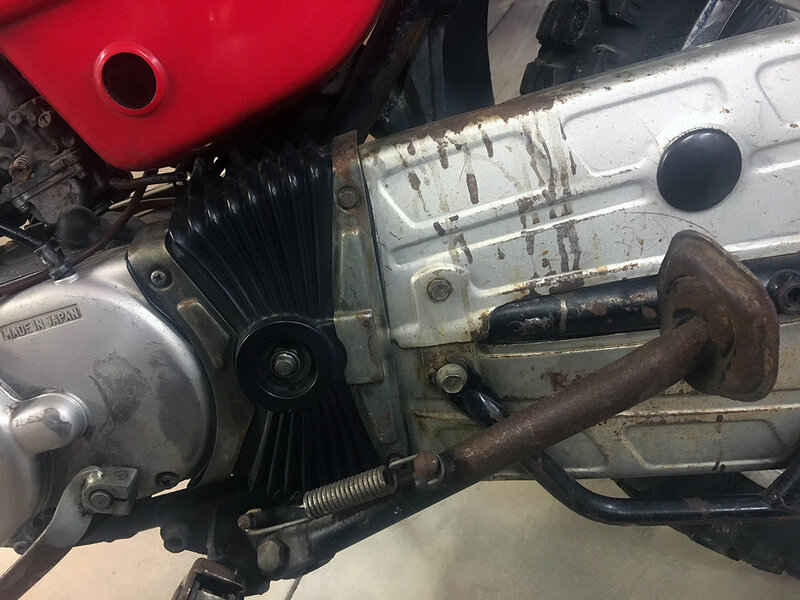 This bike has 80,000 kilometers on it. 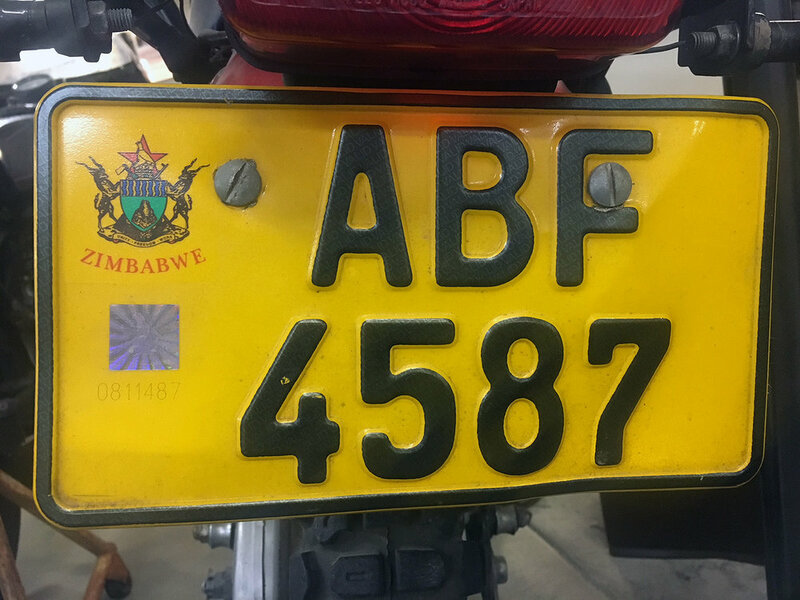 It did service in Zimbabwe, and took six months to get here on a freighter!" The organization was started with the help of famed American racer Randy Mamola. The program launched in Lesotho in 1991, followed by Zimbabwe (1993), Nigeria (1999), Gambia (2002), Kenya (2007), Malawi (2011), and Liberia (2015). Learn more and support Riders for Health.